The new Nissan X-Trail is being called a bigger version of the Qashqai. Whilst available in five-door; it's offered in a choice of either a standard five seat or an optional seven seats. The Nissan X-Trail is a five-door SUV (suburban utility vehicle) designed to be able to take all the adventure you can throw at it; anytime and anywhere you want. Nissan's advanced navigation and All-Mode 4*4 i-technology delivers a smooth yet powerful driving experience, even at low speeds. The revised X-Trail is available in a four-wheel drive version to maximise quality, specification and road manners. This should appeal to large families on a budget. 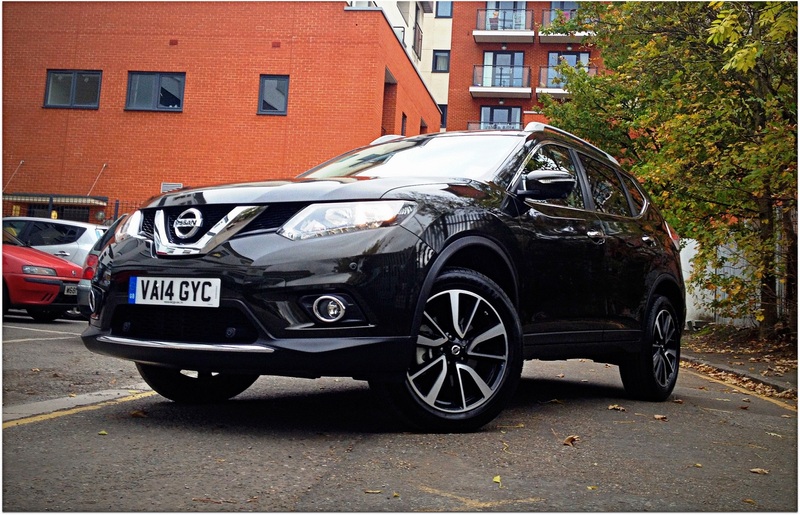 The X-Trail is almost 100 millimetres longer, wider and taller than its little brother- Qashqai. With its sophisticated styling, upmarket interior and huge yet spectacularly high quality cabin makes the car practical and a better value Suburban utility vehicle to lease. This is where the Nissan X-Trail comes into its own; driving the Nissan X-Trail is one of the best driving experiences you will have. This is thanks to its light steering and a vast range of standard safety technical features. Its powerful 'traction control' system constantly monitors your speed and steering input to notify you if you drive too wide. Another safety related system; 'Active Ride Control' automatically kicks in and stops the body getting too shaken by bumpy roads. In two-wheel drive, with a manual gearbox, the XTrail goes from 0-62 miles per hour in just 10.5 seconds. It has a top speed of 117 miles per hour and returns an excellent 57.6 miles per gallon fuel efficiency with CO2 emissions of 129g/km. The optional four-wheel drive system increases the 0-62 miles per hour time to 11 seconds, has top speed of 116 miles per hour and achieves 53.3 miles per gallon fuel efficiency with CO2 emissions of 139g/km. Available in choice of two/four wheel drive powerful yet economical 2.0 litre diesel engine that you can get in either six-speed manual or six-speed automatic transmission. Both manual and automatic transmission would not disappoint, however the four-wheel drive version offer an excellent off-road handling. The Nissan X-Trail is available in a choice of four trim levels - Visia, Acenta, Acenta+ and N-Tec. All levels of trim come with an impressive array of goodies including cruise control with speed limiter, high definition infotainment system, auto stop and start function, Bluetooth kit and 17” alloys as standard. While the 'Acenta' trim adds rear privacy glass, a leather wrapped steering wheel and gear knob, dual-zone climate control and auto lights and wipers. The top Tekna brings power-adjustable leather seats and a range of driver assistance features. All versions above Visia have an electrically operated panoramic glass roof that floods the dark cabin with light. Overall, the Nissan X Trail is an excellent family-friendly car which brings trouble-free motoring together in a great package. In addition, the X Trail has an impressive reliability and practicality record for its immense quality, great handling and low running costs. The new X Trail has plenty of safety technology including a high-strength steel body shell and the Nissan ‘Safety Shield’ which incorporates emergency city braking and lane-departure warning systems. All of this means a strong five-star Euro NCAP safety rating. Based on customer reviews and our personal experience, the Nissan X-Trail is an extremely good car and one that you should give serious consideration if you are thinking about leasing a suburban utility vehicle. The X-Trail would be ideal for either business or personal use and perfect for family adventure. Getting the Nissan X Trail on lease can be easy as pie - with a low initial payment, fixed monthly instalments and flexible contract terms. 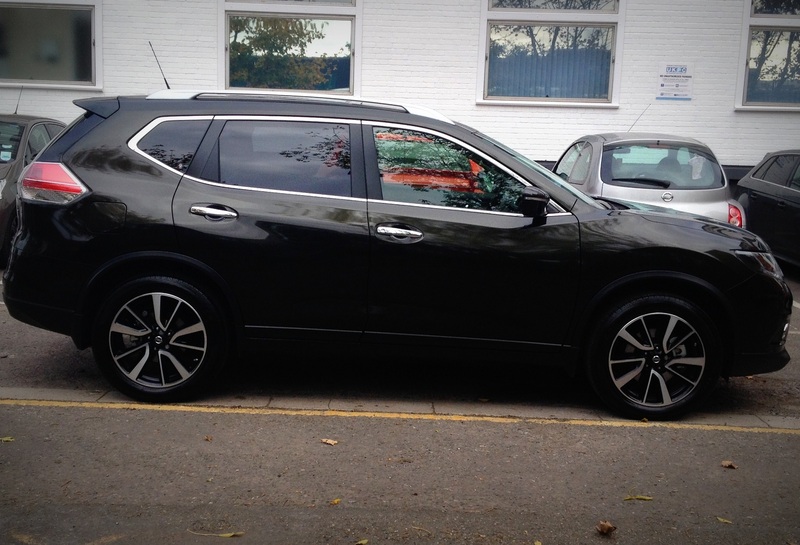 Simply take a look our best leasing prices for the Nissan X-Trail on our dedicated business and personal contract hire pages or alternatively call our sales team on 0800 458 0113 !! !